For some years the ticket Machu Picchu + Huayna Picchu has become one of the most wanted by people from all over the world on their trip to Machu Picchu; This ticket allows, in addition to the visit to the Inca city of Machu Picchu , the admission to the trails of the mountain Huayna Picchu. This mountain is amazing and its ascent of an hour and a half to the summit, is considered among the most amazing short walks of the whole world; However, not all people can ascend this mountain . What is the difficulty of the mountain Huayna Picchu? As in all the mountains, as long as you climb the Huayna Picchu you must be very careful, its paths are of vertigo, are built next to impressive ravines and although they are not really so difficult, if you are afraid of heights can cause you panic. The Huayna Picchu mountain is considered of medium / moderate difficulty but it is the fact that its paths are built between the walls of the mountain and cliffs hundreds of meters above the mighty Urubamba river, which makes some people choose another trek in Machu Picchu . But those who overcome their fears and manage to reach the top of the Huayna Picchu, often experience a mixture of feelings that in some cases, end up completely changing the way you see the lives of some people. Huayna Picchu rises to 2.720 m. And it is the imposing mountain that appears behind the Inca city of Machu Picchu, in the classic postcard of the wonder . In the distance it seems a mountain inaccessible or impossible to climb without a climbing equipment, but it is not, and despite the strenuous ascent and that you need feet and hands in some stretches, anyone over 12 years old can climb this mountain . 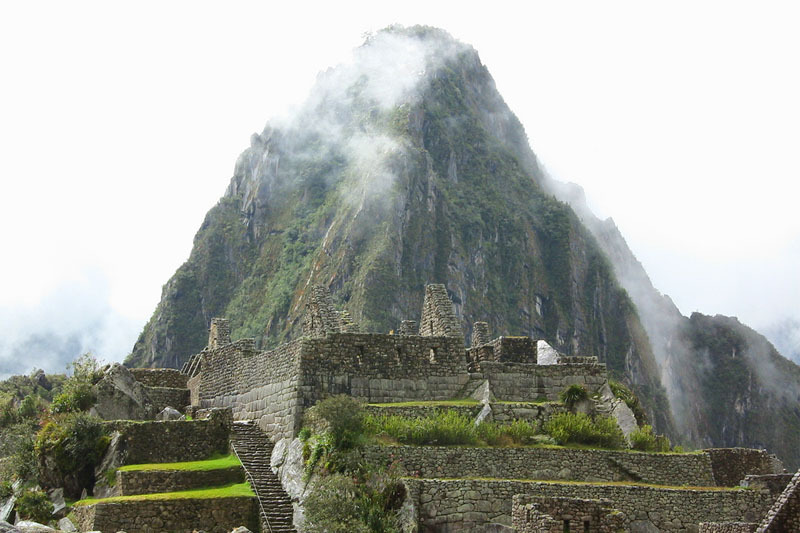 For many people, it is inexcusable to visit Machu Picchu and not to ascend “el huayna”. The mountain Huayna Picchu is one of the mountains between which is located the Inca city of Machu Picchu and that forms the face of Machu Picchu . The trek through the Huayna Picchu begins inside the Inca city of Machu Picchu. The climb is very interesting and you will see how the Incas cut the mountain to be able to make the way; Just before reaching the top, you will have to go through a carved tunnel in the rock of the mountain, the more you ascend you will see the structures and terraces on the top of the mountain; Some of them are built in extreme places, glued to one side of the mountain with an abyss of hundreds of meters on the other side; As a sample of the imagination and skill that the Incas had at the time of construction. The views from the trails are breathtaking, the stairs of death are breathtaking, but you see the fog when it dissipates over Machu Picchu, from the top of the Huayna Picchu, Is one of the most amazing shows you can have in life . 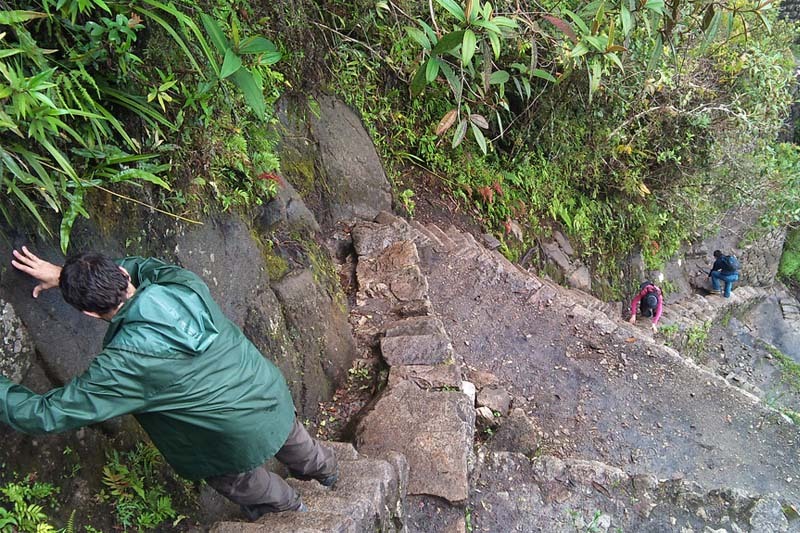 The road starts where the sacred rock of Machu Picchu is located, at this point you will have to present your ticket and fill in the logbook, this is to ensure that all the people who started the journey on the mountain leave. 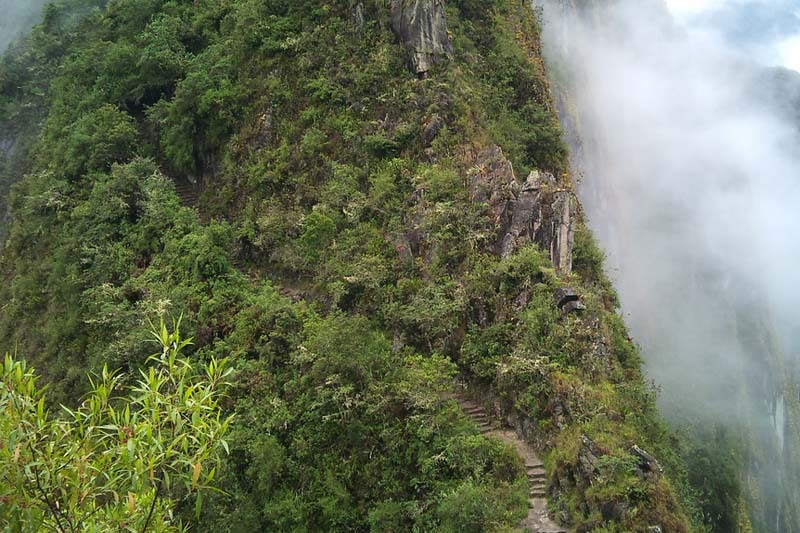 What will I need to ascend the mountain Huayna Picchu? Well, as you know, the first thing is to overcome your fear of heights; If you can, you can now check out the availability of tickets Machu Picchu and book the ticket Machu Picchu + Huayna Picchu for the dates you wish. There are only 400 tickets available to enter the mountain Huayna Picchu, so you must book your tickets in advance, we recommend doing so at least 6 weeks before; However, to come in high season, this and any other ticket Machu Picchu must be booked months in advance. You will need to bring only the needed; Although you do not need a climbing equipment, if you need hiking boots, sun protection, rain protection and insect repellent; Also know that everything you carry in your journey including your camera and your water bottle, will have to enter a small backpack, as you need both hands free to overcome some of the road.